Erected in 1913, the Civil War statue presiding over the University of North Carolina campus at Chapel Hill was toppled last Monday. Since the horrific Dylann Roof church shooting in June 2015, more than 113 symbols of the Confederacy have been removed across the nation with more than 1,740 still standing, according to the Southern Poverty Law Center, a civil rights group. Another Civil War statue has been toppled from its foundation in the name of political expediency. News sources reported that about 300 demonstrators gathered a week ago at the University of North Carolina in Chapel Hill to protest and march at the base of 1913 memorial. But it wasn’t long before protesters pulled the statue down with a rope. The bronze statue was left covered in dirt – the latest epitaph on a number of Confederate statues which critics contend glorify the pro-slavery South. But historians have the advantage of perspective. According the Charlotte News & Observer, the United Daughters of the Confederacy gained approval from the university’s board on June 1, 1908, to construct “a handsome and suitable monument on the grounds of our State University, in memory of the Chapel Hill boys, who left college, 1861-1865 and joined our Southern Army in defense of our State.” It took the group four years to raise the $7,500 necessary to hire Canadian sculptor John Wilson. The Observer also noted that a former UNC professor in 2003 likened Silent Sam to statues of Saddam Hussein being toppled in Iraq. And in 2015, protestors spray-painted “black lives matter” and “KKK” on the statue. “The faculty of the Department of History urges the officers of UNC and other state officials to pursue every avenue to remove the “Silent Sam” monument. For more than a century it has stood in the most conspicuous public space on our campus. … From its inception, the monument was exclusionary and offered a highly selective interpretation of the nation’s history. In the 21st century that interpretation is so incompatible with the principles we faculty and this university strive to uphold that the continued presence of the monument in its current location is a threat to the safety of the people of our university and a daily affront. That’s the thing about history – yours, mine, all of ours. It’s not always pretty. But it is what helps define who we are and what we can become. And shortsighted people with personal agendas, whatever they are, have no place. In addition to the stone Civil War sentinel on the Woodstock Square, Crystal Lake’s Union Cemetery is watched over by a Union soldier dedicated on Sept. 11,1889. Cast in zinc (originally marketed as white bronze) by American Bronze Company of Chicago – a subsidiary of the Monumental Bronze Co. based in Bridgeport, Conn. – it contains the names of 379 area veterans who served in the Civil War and surviving area veterans of the War of 1812. One of my favorite TV hosts, WTTW’s Geoffrey Baer, recently pointed out in an episode of “10 That Changed America,” that demand for commemorative memorials following the war led to mass-produced, interchangeable versions one could order from the Monumental Bronze Co. catalog. “Confederate Soldier,” introduced in 1889, wore a broad-brimmed hat and carried a bedroll. You could also get your soldiers custom-made: the Confederate Monument in Portsmouth, Va. has four Monumental Bronze Co. statues on it, each fashioned after a local man. 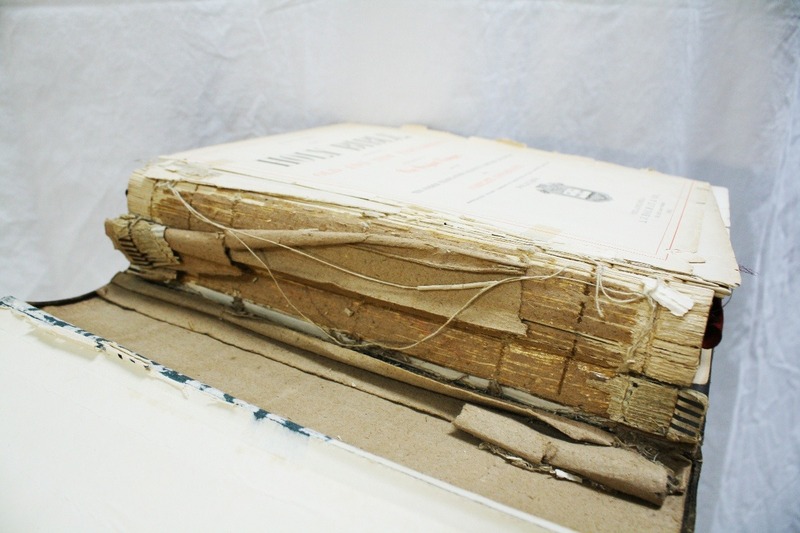 The McHenry County Historical Society is seeking donations to help repair its 1890 Franklinville Methodist Church Bible. The Bible has been chosen as an artifact to represent the unincorporated community of Franklinville (Seneca Township) in an upcoming exhibit, opening in May 2019. Presented to the Franklinville Methodist Church by founding member Mary Sanford, the Bible was donated to the historical society in 1976 by the Seneca Grange who brought the church in 1946. The Bible needs to be rebound while preserving the original cover. Forty pages also need to be reattached to the spine. The $1,000 request will pay for this work and the purchase of a display case and book cradle to exhibit it. Those adopting this artifact will be recognized in the exhibit, in our organization’s quarterly magazine and at its unveiling. For additional details call Kira at 815-923-2267 or visit https://www.gofundme.com/franklinville-bible-conservation. The 41st Annual Cider Fest will kick off at 10 a.m. Sunday, Oct. 7, at the county history museum, 6422 Main St. Highlights include Civil War re-enactors from the 36th Wisconsin Volunteer Infantry, live music, old-fashioned cider making, a blacksmith, a barn-raising demonstration and great eats – courtesy of Fat Tomato, Duke’s Blues-n-BBQ and the Kettle Corn Cookery Free. Free admission. For information, visit www.gothistory.org. • Kurt Begalka is administrator of the McHenry County Historical Society & Museum. He may be reached at kurt@mchenrycountyhistory.org.